At the investment conference hotel market in Vietnam recently took place in Ho Chi Minh City. Dr. Nguyen Dinh Chuc, Deputy Director of Institute for Sustainable Development Studies said that Vietnamese people spend about $250 million a year at casinos in Cambodia and much more in Singapore. "We can not specifically measure the casinos business in Vietnam, but according to data from the Ministry of Public Security and from various sources, there are about 200 illegal activities. and, in the run-up to Euro 2016, an estimated $500 million was spent on betting. This is a big industry, but there are no clear regulations and regulations to manage, "Chuc said. Meanwhile, Professor Ha Ton Vinh, author of a 1,500-page study of the casino industry in Vietnam, says the Ho Tram Strip is "ready to become a pilot site for Vietnamese people. Play casino, enabling the Government to easily and comprehensively assess casino business regulations in an active, well-developed, professionally operated casino environment and equipped with state-of-the-art casino facilities. international standard ". According to Professor Vinh, many provinces are waiting to be approved business casino, it is an opportunity to attract tourists to the local and Vietnam in general. And this is the right time to pilot the Vietnamese into the casino, if not want about $ 800 million each year has been following the Vietnamese to the international casino. Mr. Pham Quang Vinh, Senior Advisor to President Ho Chi Minh City's Michael Kelly, said that up to now, among licensed investors, Ho Tram has been the sole investor. real estate investment and commitment, is continuing to invest and develop a complex casino resort. 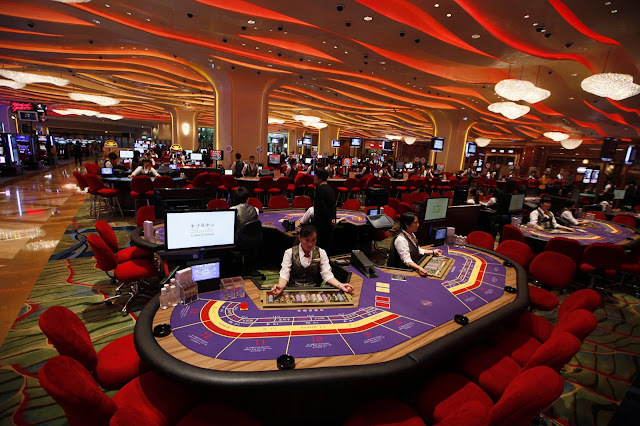 Ho Tram Strip is a typical example when it has invested $ 800 million in Vietnam and The Grand in Ho Tram is a suitable place to pilot Vietnamese people into gambling to assess the potential of the game. the casino business in Vietnam, control the social implications, as well as minimize the situation of people gambling and illegal betting in Vietnam. Gary Martin, Project Development Manager of Ho Tram Project Company, points out that the lack of a clear legal framework has hindered many potential investors in Vietnam. In particular, his Ho Tram projects have had to adjust to business development strategies in recent times. "From casino business to casino, we have adapted the model into a casino resort, focusing on resort amenities," he said of the new range of gadgets added at The Grand. The resort now has more than 1,500 employees and the representative said that "efforts are underway to further develop the construction items of the project in the near future, with another $ 300 million being Investment in other items, bringing total disbursement of more than $ 1 billion. "The amendment to the casino business decree will bring great benefits to the state tax revenue. We have all the facilities for the pilot: the international team of professionals who adhere to the most stringent international standards, are ready for the test to allow Vietnamese people to play casino. " to speak.